Plumb Xpress Plumbing and Drain is the Kennesaw plumber dedicated to providing you with a rapid response and superior service, all at a price unbeatable by our competitors. We pride ourselves on being at your door within 90 minutes of your call and can usually have your plumbing repairs done within a day or two. 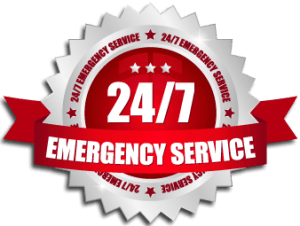 Plumb Xpress Plumbing and Drain’s emegency plumber services are also available 24/7, so even in the middle of the night you can have an experienced Kennesaw plumber at your home quickly. In addition to providing fast response times, Plumb Xpress Plumbing and Drain’s technicians are all state licensed and undergo continuing training so they are up to date on the latest technology and techniques. 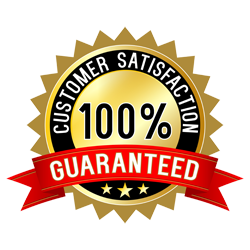 We also require our employees to pass a drug test, background check and competency test prior to hiring, so you can trust that the Kennesaw plumber sent to your door is trustworthy and highly qualified. While another Kennesaw, GA plumber might try to solve these problems with an expensive solution that increases their commission, our technicians are paid hourly so our flat rate won’t include services you don’t need. We also offer extras like free camera inspections with every drain cleaning, which can help you identify problems before they damage your home, and a $25 off coupon for your next service. With these types of extras, you’re sure to get the most for your money with Plumb Xpress Plumbing and Drain, whether you need polybutylene pipe replacement in Alpharetta or a sewer line repair in Kennesaw. Call us today and a professional and courteous Kennesaw plumber will be there shortly. We’re happy to serve customers in Kennesaw, Roswell, Johns Creek, Milton and the rest of the metro area. Plumb Xpress is proud to serve the Kennesaw metro area including, but not limited to: Kennesaw, Avondale Estates, Buckhead, Clarkston, Decatur, McDonough, North Kennesaw, Snellville, Stone Mountain, and Tucker. Our service range includes customers within the following zip codes: 30303, 30305, 30306, 30307, 30308, 30309, 30310, 30311, 30312, 30313, 30314, 30315, 30316, 30317, 30318, 30319, 30322, 30324, 30326, 30327, 30328, 30329, 30331, 30332, 30334, 30336, 30337, 30338, 30339, 30340, 30341, 30342, 30344, 30345, 30346, 30349, 30350, 30354, 30360, 30363.